LONDON - Proximity and MRM Worldwide have been appointed by Kraft Foods to its first pan-European digital roster following a pitch. The process was handled by Creativebrief and includes all of the European brands in the Kraft Foods portfolio. In the past, Kraft had used agencies on a project basis for its digital work. A Kraft spokeswoman said that the roster would give the company the chance to improve digital communications and look at new opportunities within the digital space. She added that Proximity and MRM had network agencies, which could be used when Kraft needed specific digital activity in individual countries. 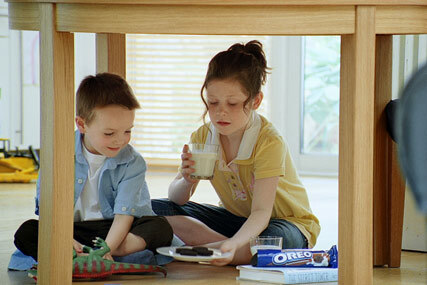 Kraft brands include Philadelphia, Oreo, Dairylea, Terry's Chocolate Orange and Toblerone. Last month, Kraft increased digital activity for its coffee brand Mellow Bird's, launching its first social media campaign to reach a younger audience. The campaign included Facebook games, created by Work Club. Kraft will promote its Milka chocolate brand on 19 April, with a TV ad campaign by Ogilvy. The activity will also include press ads. The US food giant's £11.7 billion takeover of Cadbury was completed at the start of February. Earlier this month, the Kraft executive vice-president, Marc Firestone, said the company had no plans to move Cadbury's marketing and sales operations overseas.